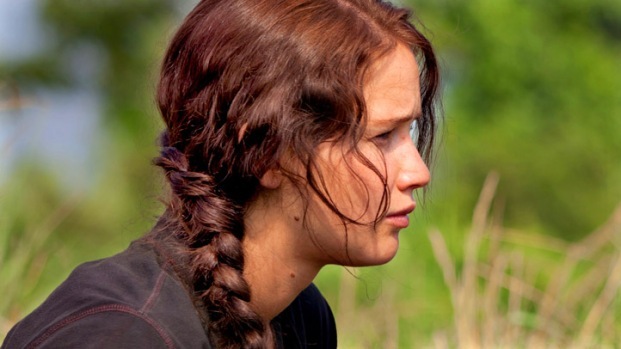 Watching the hail of arrows in "The Hunger Games," "The Avengers" and "Brave" makes the ancient art of archery look easy. It's not. I found that out when I tried it myself at an archery range in New York City where I was surrounded by other archers - some as young as kindergartners - who have bought into the bow and arrow craze. "We saw a big surge in popularity when 'The Hunger Games' came out, especially among girls," says Joe McGlyn, a world-class archer and owner of Pro Line Archery Lanes in Queens. 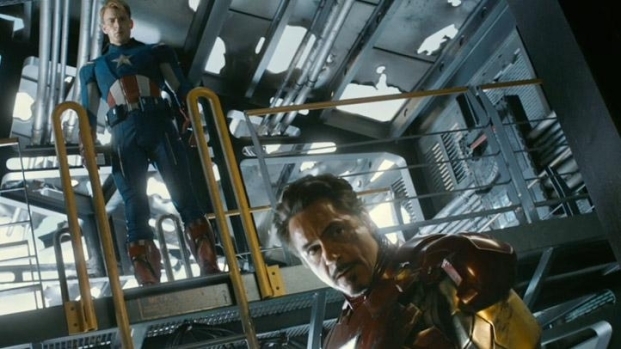 "But I don't think too many people were driven here by Hawkeye in "The Avengers," though we may be a few more when "Brave"opens." On a recent evening, McGlyn - a telecom systems manager by day - agreed to walk me through the basics. After confirming I possessed a total ignorance of archery, and a healthy respect for weapons, McGlyn had me strap an arm guard onto my left forearm, a finger guard onto my right hand, and clip a small plastic quiver to my belt. I feel like an overgrown 9-year-old heading out for a too elaborate game of Cowboys and Indians. As I "nock" (that's archer for "load") my arrow to the string, my incompetence immediately exposes the one important thing McGlyn has forgotten to tell me. "See how one of the feathers on the back is yellow and the other two are green? If the yellow one isn't on the left, it'll hit your string and make the arrow going flying off to the side." As I lift the bow, the arrow I've loaded up swings out to the left, and I am gripped by panic. What if somehow it turns a full 90 degrees, slips from my fingers and runs through the poor fool standing behind me? This would necessitate a total breakdown of the laws of physics, but the fear I feel is real. "Your middle finger is pushing up on the bottom of your arrow, which is causing it to swing out," says an unfazed McGlyn. "Just try to open your fingers a little." Again I raise the bow and arrow, my left arm fully extended, as my right hand pulls back until my index finger is touching the corner of my mouth and the string is pressed up against my nose, per McGlyn's instruction. Then I peer through the sight in search of the yellow bull's-eye on my target and let the arrow go. Thuppp! A solid working man's 9, just one ring outside the bull's eye. But rather than exult in my triumph, I am saddened by the knowledge that I will almost sure get worse, rather than better, and by the fact that I am standing a mere 20 feet from the target. Just down the line are folks shooting at targets 60 feet away. Among the shooters milling about, are some clad in leather arm guards and quivers that evoke Robin Hood's merry men, and some wielding bows that look like Klingon weapons. But most disheartening is the kindergartner scoring 9s and 10s on almost every shot, while I try to figure out where to put my pinky. Remy Nixfoetus, 6, took up archery in April, because she and her 16-year-old sister, Alexa, "wanted something to do together." Alexa is already a fencer, and somehow Remy was deemed too young to wield a foil, but not a bow and arrow. "Because it's fun." Of course it's fun for her—she's already better than every adult shooting from 20 feet. Watching the two of them you'd reasonably assume they were part of the "Hunger Games" generation of archers, young girls inspired by the exploits of Katniss Everdeen. Not so. "They've never read the books," says their mother, Cindy, who brings the girls to the range twice a week for three hours of practice. "But I have, " she adds with a laugh. Derek Davis Jr. has been shooting since he was 7. Now 22, he heads an archery team at the Fashion Institute of Technology, following in the footsteps of his father, who's the coach at Columbia University. 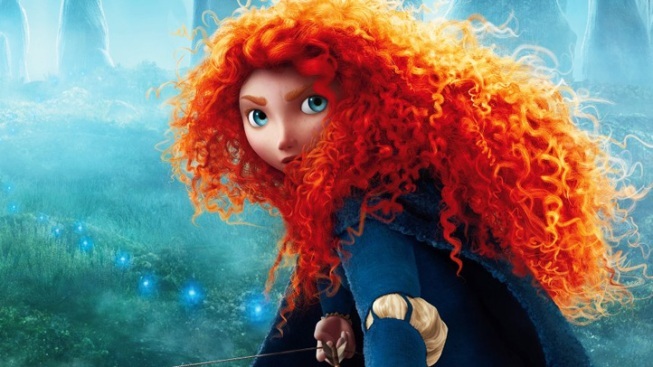 Davis looks forward to celebrating his birthday by seeing "Brave," the new animated film about a Scottish princess with a gift for archery, which he says appears offers the most realistic depiction of archery of recent vintage. "Just from what they've shown in the previews, the slow motion shot of the actual arrow flight, and how it's wavy, not just like this straight arrow flying through the air. It's quite accurate." Hodari "Ho Daddy" Depalm, 40, approaches archery with the fervor of a convert. He's at Pro Line three or four nights a week, arriving around 7 and staying "until they kick me out," usually some three hours later. He only started shooting last year. "I was sitting at home, bored, and wanted to go do something to get myself off the couch and I saw them doing this on a TV show," explains Depalm. "I dragged a buddy a long with me, and now he and I, we go to tournaments, we shoot the Thursday night target league here..."
Though it is objectively clear that I am by no means ready, McGlyn encourages me join the grown-ups shooting at targets 60 feet away. Occasionally the rhythm of the room is broken by the clank of an arrow that's fallen short, or the crack/thud of one that's flown wide of the target and hit plywood. The only sound worse is the scrape of an empty bowstring dragging along the feather of an arrow, followed a beat later by the clank of the arrow hitting the linoleum at your feet. "That's what we call a 'dry fire,'" say McGlyn. "Don’t worry about it. We've all done it. You probably didn’t push the arrow back far enough, or maybe you pushed it off the string with your thumb." From this new distance, most of my shots miss the target, a number of them not even hitting the paper on which it's printed. But my ego doesn’t really sag until I pierce someone else's target--I suddenly miss being outclassed by the 6-year-old. But Remy was right, it is fun.